A potential scandal is brewing in the world of defined benefit pensions, which could see tens of thousands of pensioners asked to repay money received in error. There are suggestions that some individuals may be held liable for up to £50,000. Could this really happen, might you be affected – and what could you do about it? Faulty data supplied to HMRC by employer pension schemes could be soon to cause major problems for a minority of members now receiving their pensions. Mistakes in data entry have caused a small but significant number of these pensions to be overpaid, in some cases by as much as £50,000 over the course of a member’s retirement. According to figures from the Pension Protection Fund, up to 46,300 people may have received these overpayments, and could – in theory at least – be asked to pay the money back. The problem has arisen due to some scheme members being ‘contracted out’ of the State Earnings-Related Pension Scheme (SERPS) when contributing in their workplace pension. From 1978 to 1997, companies offering DB schemes could achieve a reduction in their (and their employees’) National Insurance contributions by taking employees out of the additional State Pension. The idea was that this would result in lower overall State Pension, but a higher workplace pension which would more than compensate. A member incorrectly listed as contracted out of the Additional State Pension would end up receive a higher pension from their workplace pension than they were actually entitled to. The question now is whether or not pension schemes will try to recoup the money that has been paid out in error. Conversely, there may be many pensioners who have not received the full payments they were entitled to – though it is believed that overpayments exceed underpayments. Schemes have until October 2018 to check their data, and it may take another two years to work out how many pensioners have received incorrect benefits. 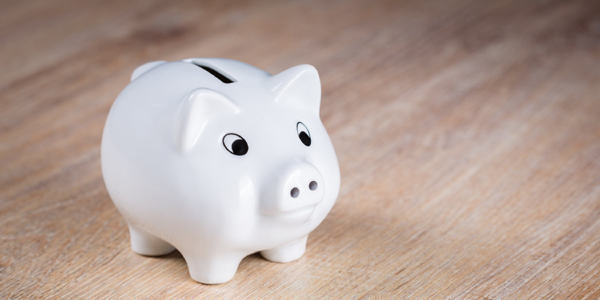 The Pensions Administration Standards Association (PASA) has found that currently 13 per cent of affected schemes are recouping the overpayments. If you were in a DB pension scheme between 1978 and 1997, there is only a very small chance that you are among those who may be affected. Even if you are, it is still far from certain that all schemes will take any action to recover the money. However, it may be worth talking to a financial adviser who specialises in DB schemes, as they can calculate the amount you should have been entitled to receive under the scheme, and see if this matches up to your actual payments. There is even a small chance that you could have been underpaid, which makes it all the more worthwhile to find out. Next Next post: How long should you fix your mortgage for? Opinions expressed within blog articles are those of the individual author(s) and do not necessarily reflect the views of either Nexus IFA or The Whitechurch Network. Blog articles are for general information and guidance only, they are not intended as personal financial advice or a recommendation, and should not be relied upon in making (or not making) financial decisions. Information within articles is based on current understanding and can be subject to change without notice, the accuracy and completeness of the information cannot be guaranteed. We cannot assume legal liability for any errors or omissions articles might contain. Appropriate professional financial advice should always be sought before making any decisions regarding your finances. It is important to remember that all investments carry some risk. The value of an investment (and any income received from it) can fall as well as rise and you may not get back what you invested. Past performance is no guarantee of future performance. If you withdraw from an investment in the early years, you may not get back the full amount you invested. A pension is a long-term investment. The fund value may fluctuate and can go down. Your eventual income may depend on the size of the fund at retirement, future interest rates and tax legislation. A mortgage is a loan secured against your home or property. Your home may be repossesed if you do not keep up repayments on your mortgage or any other debt secured on it. Some forms of Buy to Let advice are not regulated by the Financial Conduct Authority (FCA). Tax Planning, Trust Advice, or Estate Planning are not regulated by the Financial Conduct Authority (FCA). Nexus IFA Ltd is an appointed representative of The Whitechurch Network Limited which is authorised and regulated by the Financial Conduct Authority (FCA).